P2M silicone radiator hoses are made to withstand high temperature (up to 177 deg C / 350 deg F) and pressure from your engine's coolant system. Made from thick 4 ply high quality silicone with gloss surface finish. 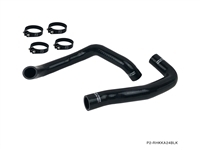 The hose kits were designed to be factory replacement from the OEM radiator hoses. 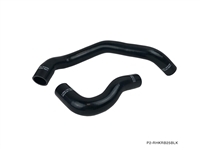 All P2M silicone radiator hose kits comes with a life time manufacturer warranty against leakage.